Not every SoundSport team can boast having been a 10-time DCI finalist. With one of the most storied histories of any SoundSport ensemble, the Freelancers of Sacramento, California, bring an interesting perspective to a relatively new activity, one they’ve taken part in for three of its first five years of existence. The Freelancers based their 2017 summer schedule around four DCI Tour events in California. The Freelancers perform on June 24 in Sacramento, California. The ensemble — whose members hail from all throughout the state of California and even Utah — opened its summer at Sacramento’s Moonlight Classic event on June 24 and performed at DCI West in Stanford the following day. 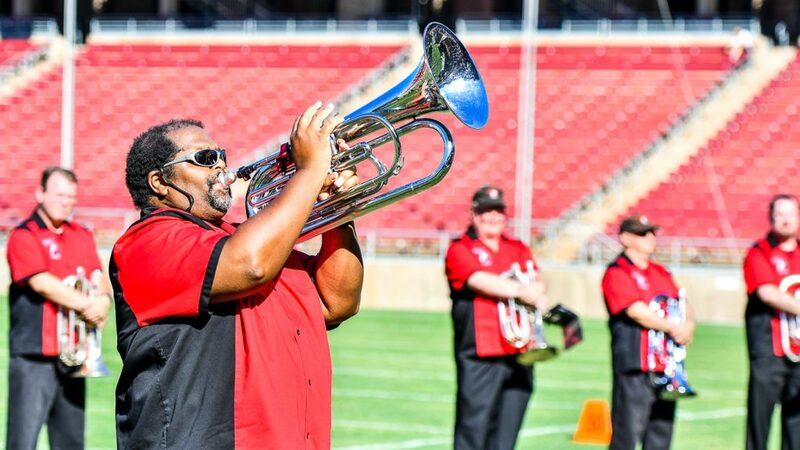 With the Freelancers appearing recently at another Sacramento event, the DCI Capital Classic, Allison said the crowds have been welcoming and appreciative of their performances in and outside the corps’ hometown. In terms of the foundation built by the Freelancers’ history as a DCI drum corps, the group advanced to the DCI World Championship Finals 10 times between 1976 and 1992, including five consecutive appearances in the early 1980s. The Freelancers on June 25 at the DCI West event in Stanford, California. Allison said many of the ensemble’s past traditions are carried forward thanks to longstanding friendships between members. True to their roots, the “red, black and chrome” also continue to feature jazz music in their SoundSport performances, to complement the corps’ in-your-face performance style. 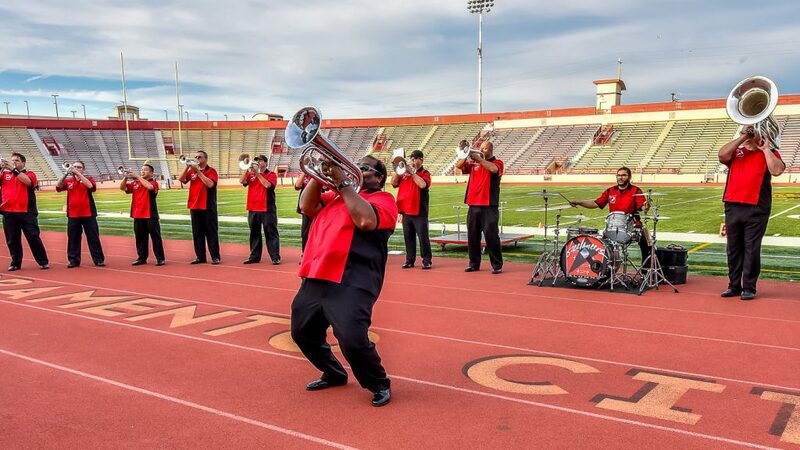 While the Freelancers will wrap up their SoundSport season on Sunday, July 16 at the SoCal Open Class Championship in Bellflower, California, the corps will also be performing at a pair of Drum Corps Associates mini-corps events in Rochester, New York, in early September to round out their 2017 slate of performances.